Yasmin said it was ‘lovely’. 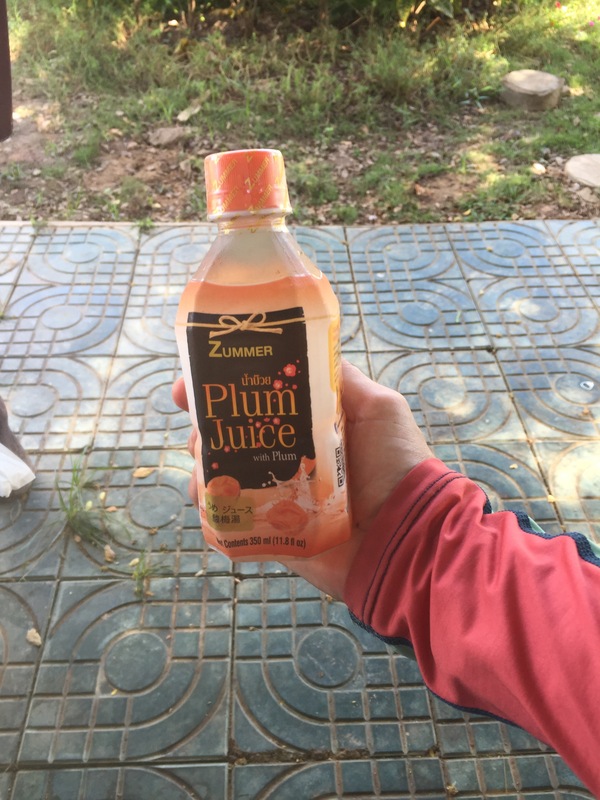 Fizzy apple drink. 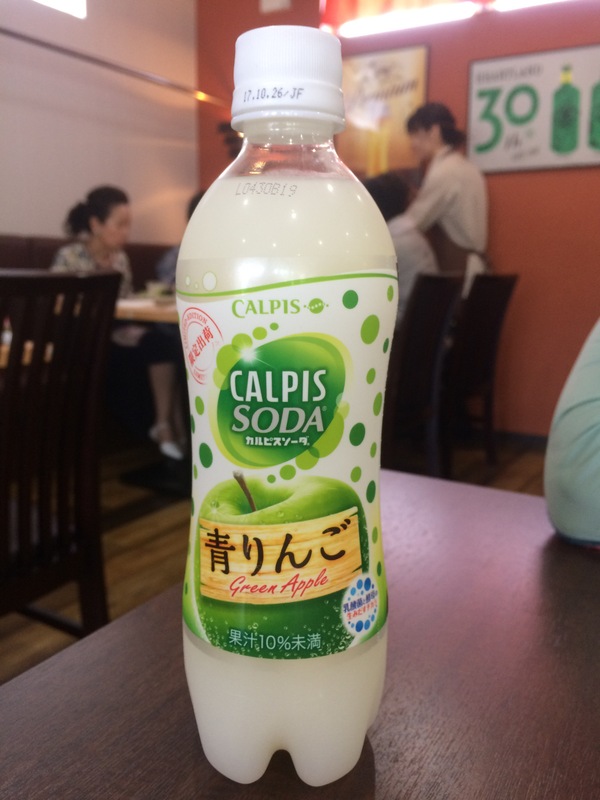 We’ve not really been tempted by the vending machine drinks everywhere in Japan. 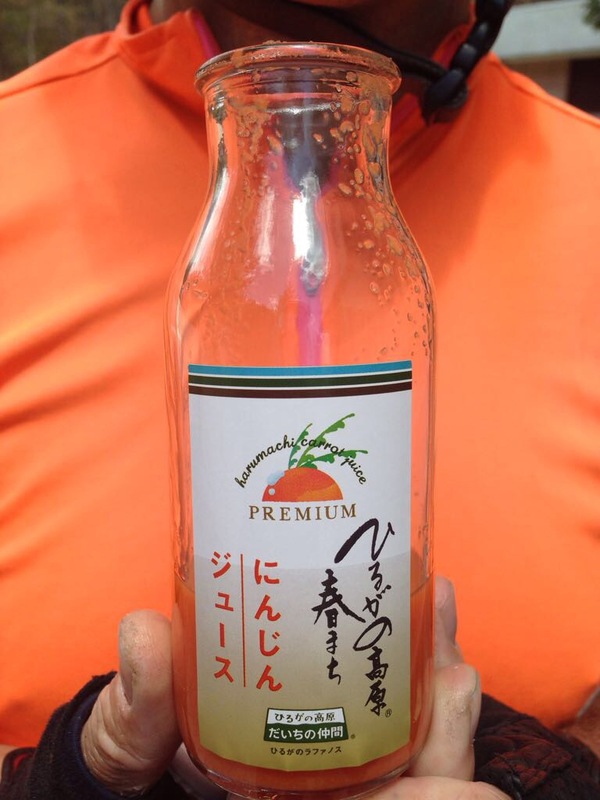 Coffees from 7-11, a cyclists ‘dream’ shop, are what keep us going, and then at night beer and saki. 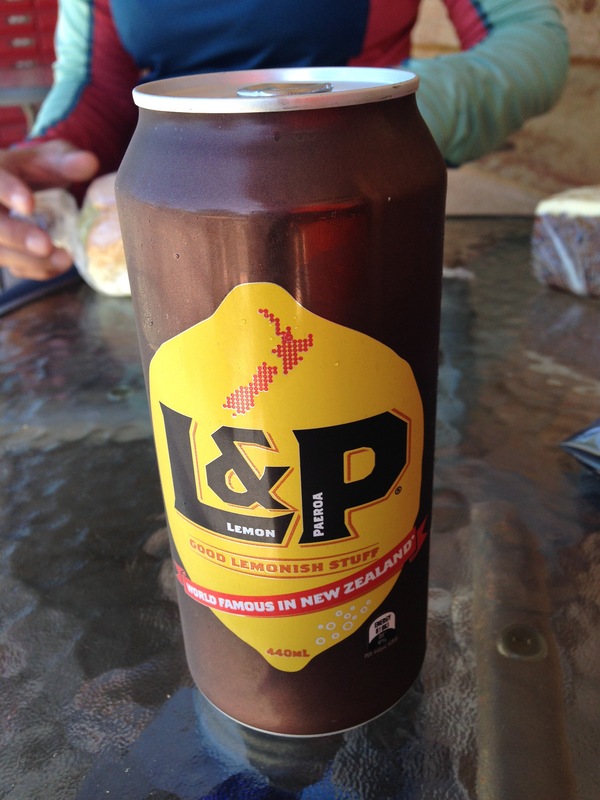 A classic and originally from Paeroa through which we both stopped for lunch and cycled, on day 2 from Auckland. 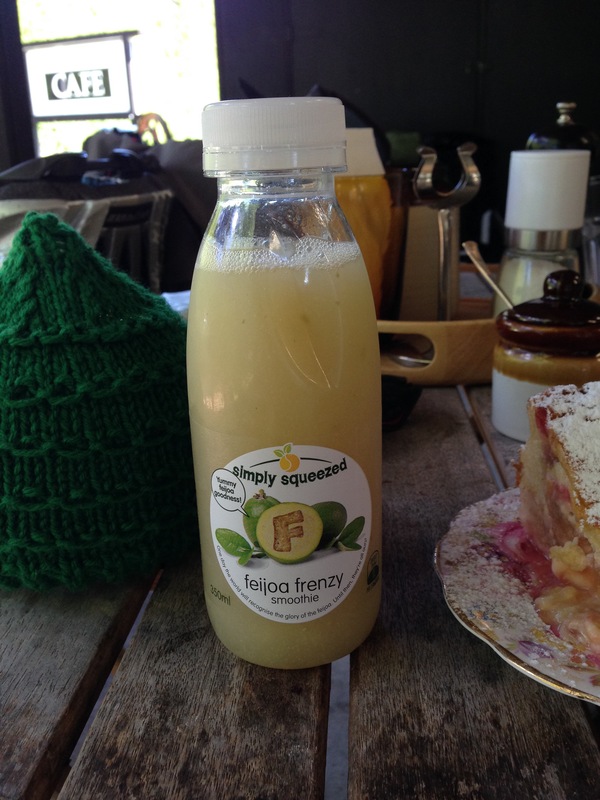 The first one for NZ – Feijoa Frency – delicious! 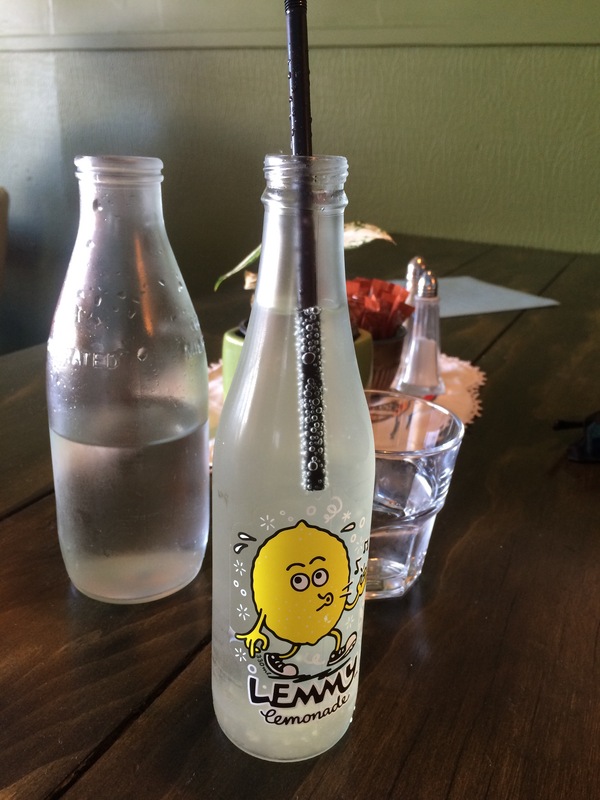 Salty plumb – so good! 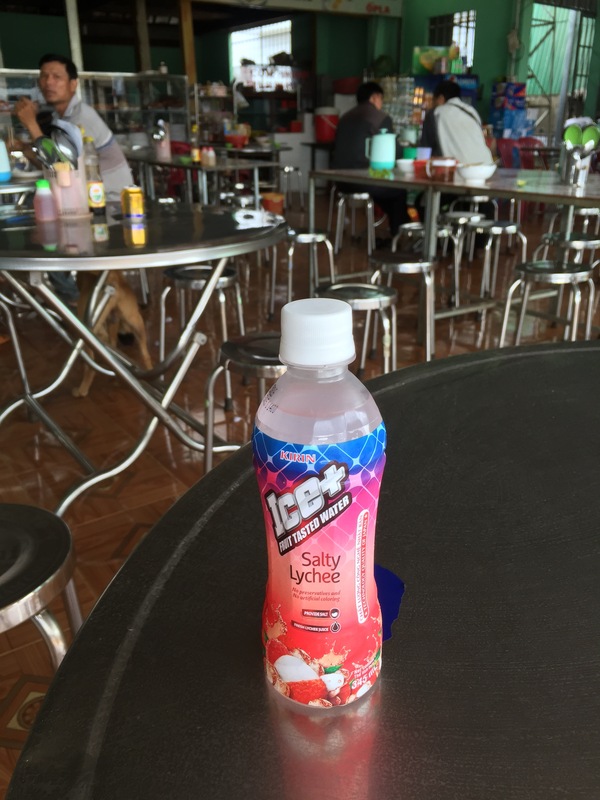 A salty lychee drink – the fruit had never been near it. 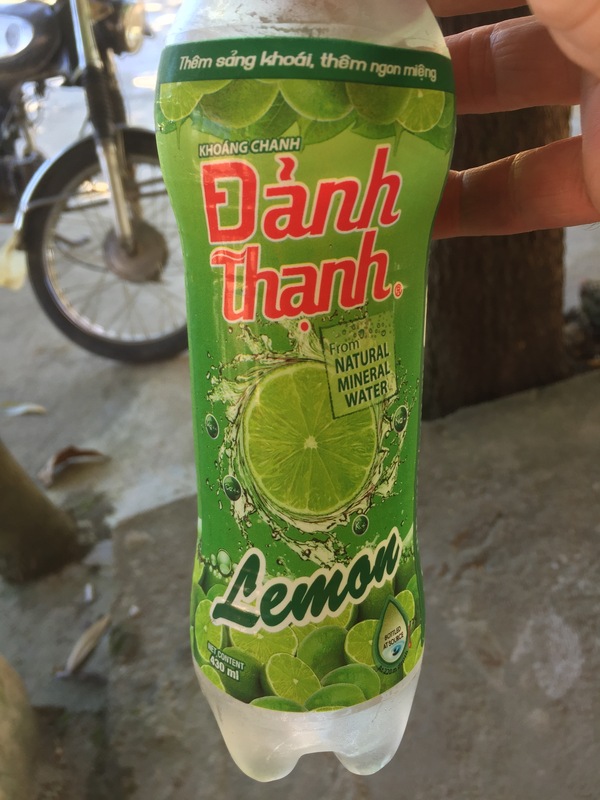 This is a local speciality, Che, in Hue which we ate and drank at the roadside. 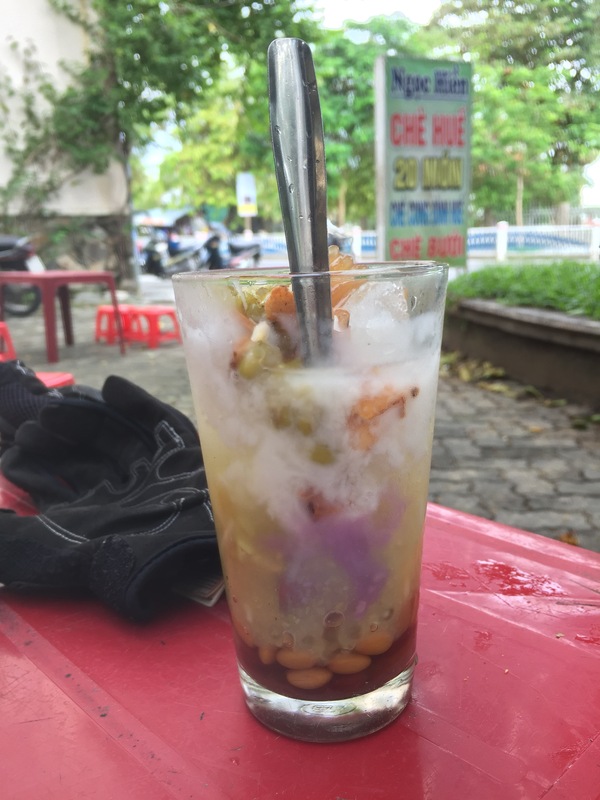 It is very like Chendol in Malaysia but with more flavoursome things added like green and brown sweet beans, fried coconut, ginger, and sweet jellies. 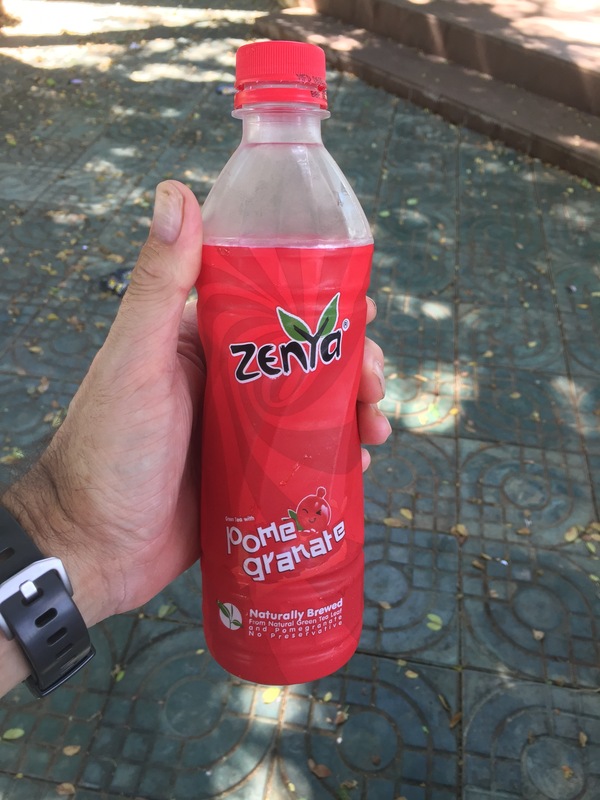 We’d spotted the stall on a busy Sunday afternoon packed with locals having a refreshing drink in the shade of a banyan tree. The place is next to a large art-deco cinema which was closed. We, like every other tourist, had been walking to the old walled Citadel and the Forbidden City to see the buildings and museum. I always want to resist the pressures of a guide book to see things that it sometimes insists we should go and see, but we are in Hue and it seemed silly not to visit some of the sites recommended here. The Citadel and Forbidden City both disappointed. Perhaps it was because of the monotony of the axial approaches to buildings and the various stages of both dilapidation and restoration of the structures. However, the museum was good and in a finely restored and maintained timber building with interesting exhibits from the royal household. As we sat slurping our drinks we watched the other tourists making their way to and from the Citadel, all missing one of the city’s greatest delights mentioned in the guide book, the Che stall.